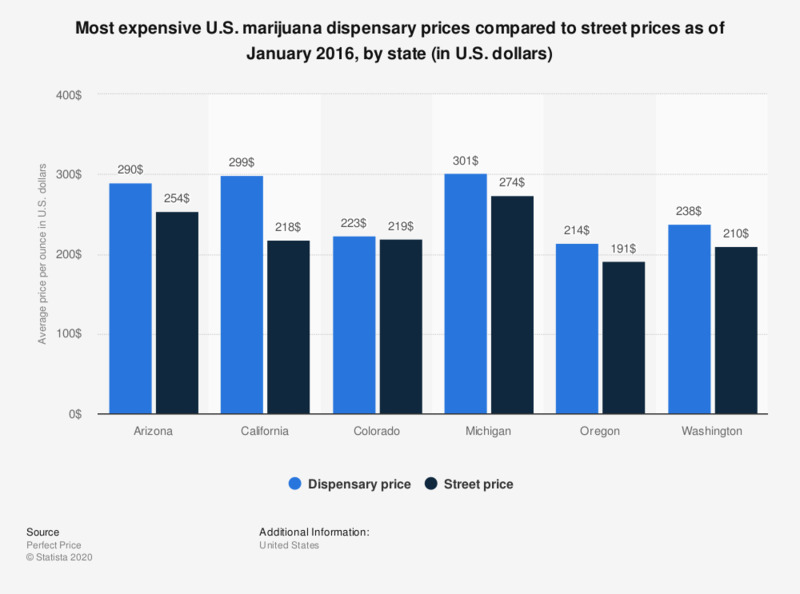 This statistic presents the U.S. states with the biggest difference between legal dispensary and illegal street prices for an ounce of marijuana as of January 2016. California had the biggest price difference between legal and illegal marijuana with an ounce of marijuana from a legal dispensary costing 299 U.S. dollars compared to 218 dollars for illegal street bought marijuana. One ounce is equal to approximately 28 grams. Price is for midlevel marijuana.